July 28th, 2016 by Jessica Straus & filed under Diversity, NVCA Blog, VentureForward. This week we issued our first-ever report on diversity and inclusion in the entrepreneurial ecosystem. Building a More Inclusive Entrepreneurial Ecosystem, showcases the efforts being made to improve diversity in the venture capital industry. There is still a great deal of work to be done to expand the number of women and underrepresented minorities in venture capital firms and startups. Our report focuses on the actions. By showcasing what NVCA members, entrepreneurs and nonprofits are doing in their firms and in their communities, we want to share and promote ideas that can inspire action. So, where progress is being made? In Cincinnati, NCT Ventures initiated a survey of minority entrepreneurs to ask important questions about their perceptions of venture capital, their access to capital and how they build their businesses. The survey found largely negative perceptions of institutional funding sources. NCT Ventures is working to change that perception by growing its deep connections in minority entrepreneur networks and by making investments in minority led companies. In Cleveland, JumpStart, Inc. launched its FOCUS Fund in partnership with the Ohio Third Frontier. The FOCUS Fund is exclusively dedicated to investing in women and minority-led companies located in, or willing to re-locate to, the state of Ohio. 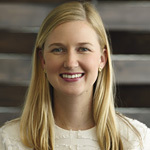 Greenspring Associates in Baltimore, led by Ashton Newhall, co-chair of the NVCA Diversity Task Force, is supporting Girls Who Invest, a non-profit organization dedicated to increasing the number of women in leadership positions in the asset management industry, and Cristo Rey High School in Baltimore. In Boston, .406 Ventures has created a Student Fellow program to spark entrepreneurial careers. The program is 20 percent women and minorities. Battery Ventures has been a founding member of Board List to promote more women as independent company directors. Intel Capital recently announced new leadership for the Intel Capital Diversity Fund, the largest fund dedicated to investing in tech startups led by women and underrepresented minorities. Christine Herron and Trina Van Pelt have been named co-heads of the Diversity Fund. Learn more about Christine and Trina’s appointment in the latest blog post by Wendell Brooks, President of Intel Capital. Everyone on a venture capital team is integral to change and building a culture of inclusion. General partners drive change through visible and committed leadership. Talent managers and human resource professionals drive hiring objectives for the firm and portfolio companies. Marketing and communications professionals build strategies to attract and retain diverse talent. We’re seeing success play out across the ecosystem. Johnson & Johnson Development Corporation commits to ensuring its team is 30 percent female and 30 percent ethnically diverse. GE Ventures has a robust and long-standing committed to promoting diversity and inclusion in the entrepreneurial ecosystem through multiple programs. Some actions have resulted in new, firm or industry-wide programs. Other methods may seem small, but have a huge impact, such as the adoption of new firm HR policies, or ensuring that websites highlight the women and underrepresented minorities in portfolio companies. Showcasing the diverse talent your firm already supports can send a strong signal to the market that your firm supports inclusion. Kate Mitchell, Co-Chair of the NVCA Diversity Task Force, often says we need to learn from entrepreneurs by testing, measuring, and iterating to success. There isn’t one single pathway for firms as they endeavor to support diverse talent. In our report, we showcase the many paths that firms are taking. Collectively, these efforts will help improve outcomes for the entire ecosystem. We encourage you to share how your firm is taking action on social media using the hashtag #buildinginclusion.